There are a lot of things out there that people collect - some a bit more standard or well-known, like coins or stamps; some a bit more specific, like antique marbles, carnival glass, Fiesta ware, rugs, teddy bears, pottery, fishing lures, railroad timetables, paperweights, perfume bottles, classic cameras, toothpick holders, watches, swords, peanut butter glasses. Our library catalog has many price (or value) and identifying guides, buying guides, encyclopedias, and even "for dummies" books for all sorts of collectibles and limited editions and the like. 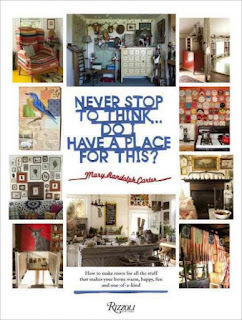 Do you have a favorite book about collecting or are you looking for items about your collecting passion? Let us know in the comments! 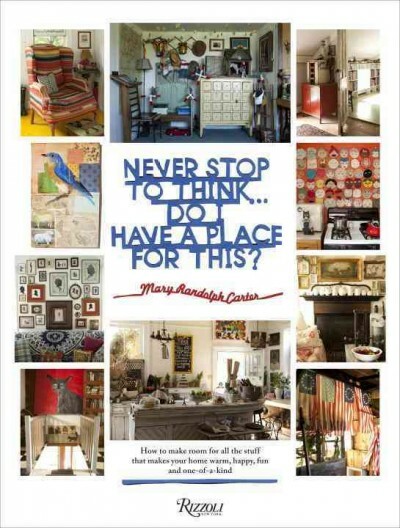 The Stuff of Life: How to Style and Display Your Most Treasured Possessions by Hilary Robertson. For more titles, try a subject search of collectibles (guides) or collectors & collecting (includes fiction, children's books, much more general). Also, take a look at some odd collections online!